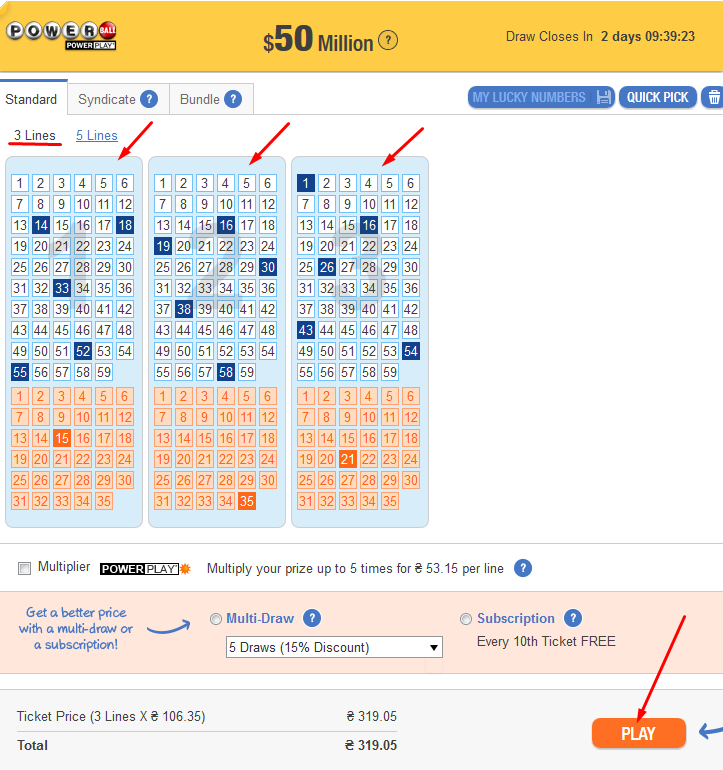 Home/How to Buy Lottery Tickets Online? 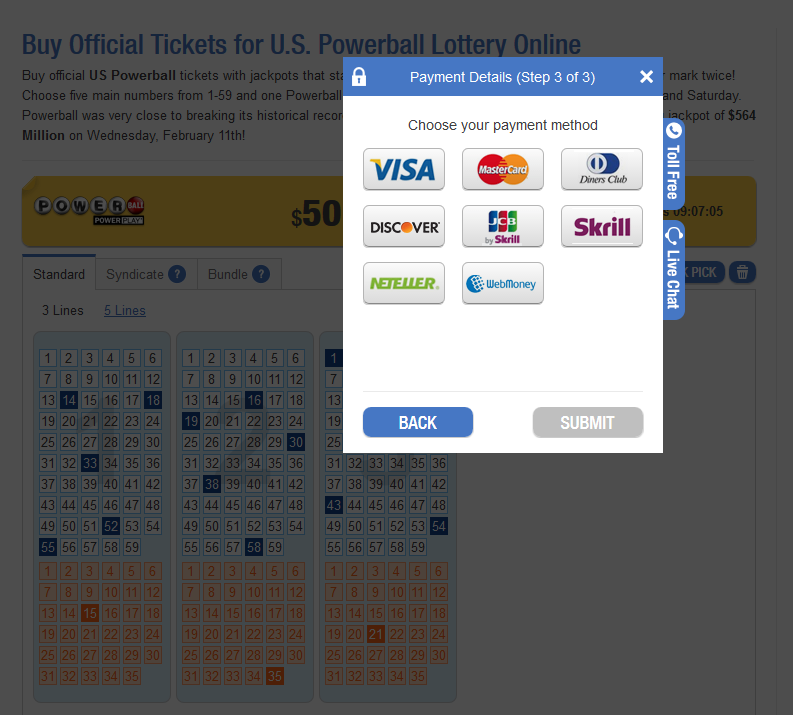 The Internet allowed lottery players to buy lottery tickets fast and easy in a lot more convenient way than going to the local office or agent. However, some people find it difficult and get lost in the same process. Inputting the correct relevant information in the necessary place can save you from a lot of unnecessary issues. 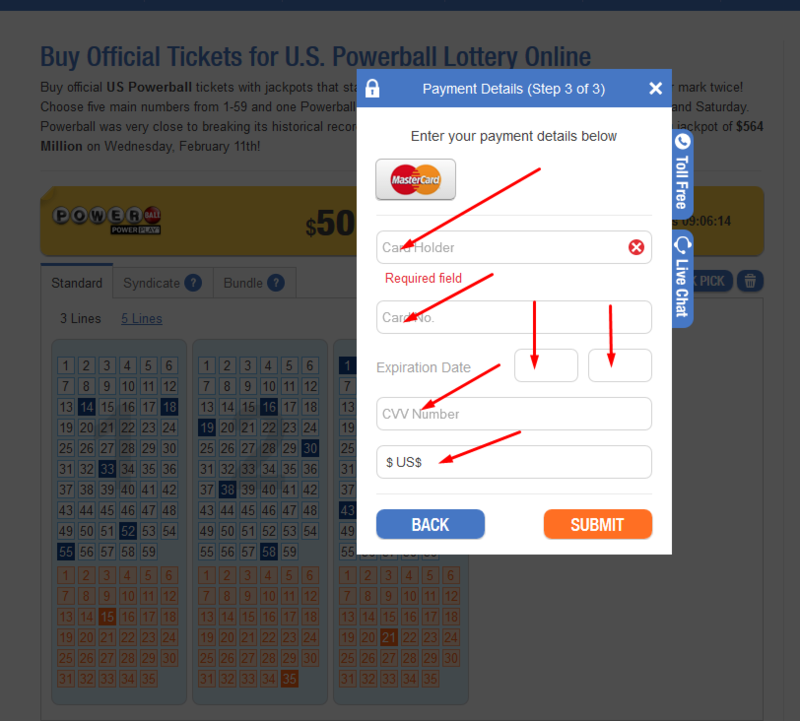 Because of this we created this ultimate guide to show you how to buy lottery tickets online. With Lottery Pros you can buy lottery tickets for more than 40 current major lotteries all around the world. And you can do all of this in few simple steps. Before we start explaining the whole process all you need to have is a valid debit or credit card, a PayPal account or some of the available e-wallets. The only thing that separates you from winning a major prize is you buying a lottery ticket with the matching winning numbers. The first step in buying your lottery tickets is choosing the lottery in which you want to participate. 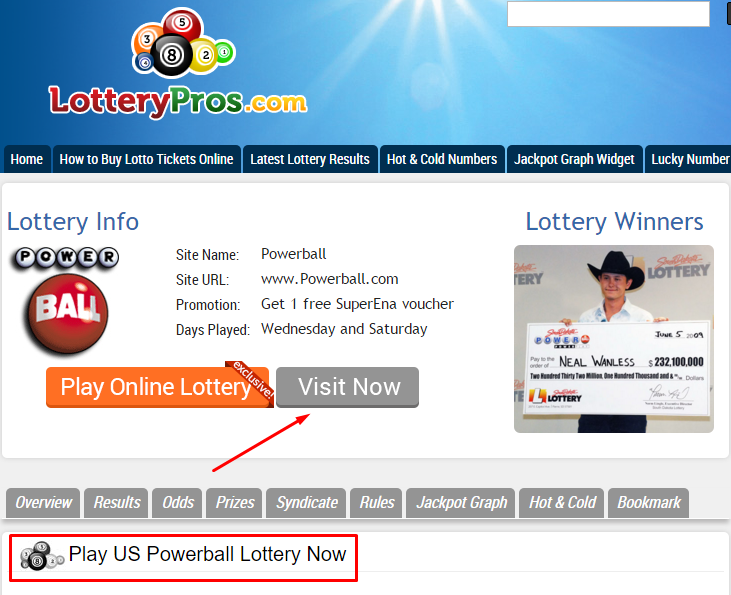 You can select it from the sidebar at LotteryPros.com. 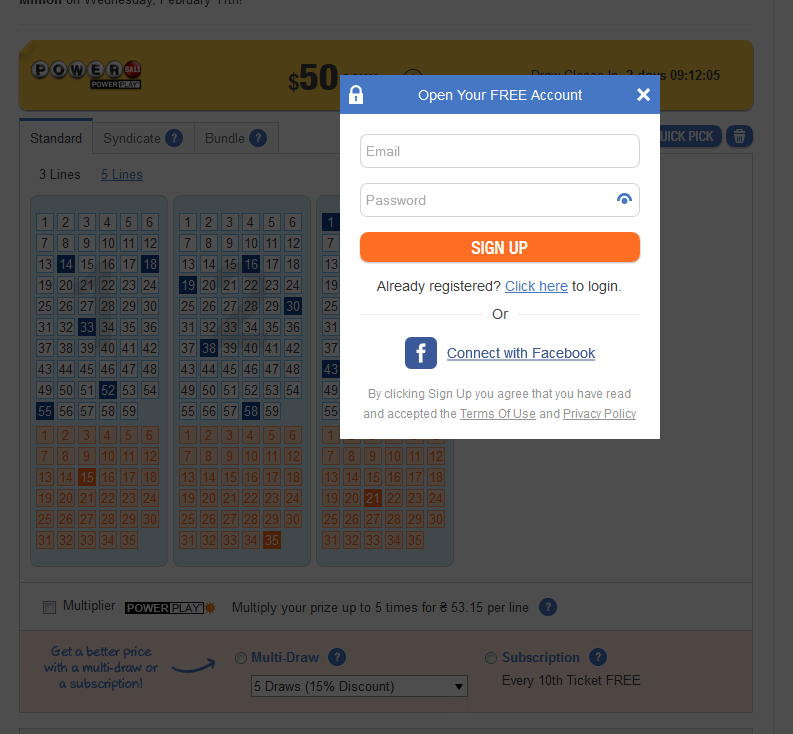 Once you have selected the lottery draw press the “VISIT NOW” button. It will take you to a place where you can pick your numbers. Choose how many lines you want to play. You can pick your numbers in 2 ways: by picking your own 5 lucky numbers out of 59 and 1 number out of 30, or by using “QUICK PICK” option. A point to note is the “MULTI-DRAW” feature. Not only it will save you from repeating the same process all over again, but you will also save some money. On top of this you can subscribe to it and your every 10th ticket will be free of charge. Another feature at your disposal is the “MULTIPLIER”. Certain lotteries allow you to multiply your prize at a small price. After you have chosen all relevant options you can finish by pressing the button “PLAY”. This step involves opening a FREE account if you don’t have one already. You can register by inserting a valid e-mail address and a password along with other personal information including first name, last name, date of birth, personal address and your mobile phone. You cut this process by connecting with your Facebook account. Bear in mind that all of the personal information and the email address have to be valid and true. Otherwise, some issues might arise later on. In case the e-mail address is not yours, you won’t be able to confirm and activate your account. By now you have inserted your numbers, picked your draws and inserted your personal information. The only step that remains is to pick your payment method and finalize the purchase. and even more (depends on country). If you pick some of the e-wallets the process is a lot simpler. However, if you pick some of the debit/credit cards it might turn tricky for the novice internet user. Follow the next instructions and you will not have any difficulties. By choosing the debit/credit card payment method you will have to insert the personal information of the credit card holder along with the card number including the expiration date. You will have to insert the CVV number which is usually located on the back of the card. It consists of 3 or 4 digits. If the payment process takes you to a local website to complete the purchase do no worry. Those sites are reliable, safe and secure and will in no way harm your interest. After each and every order you make, you will receive three proofs of the purchase. One comes in the form of a message as a confirmation to your email you are registered with. Another proof is the information stored on your account and last but not least a copy of your scanned ticket with your unique number selection which you can find in the “My Account” section. Whenever you feel like buying another ticket your previous number combinations will saved as “My Lucky Numbers”. It will save you from having your numbers written down in some other place and having to insert them again and again. Good luck! And remember you won’t win, if you don’t play!